The procedure below worked just fine with my Hydra 2.7 EMS. I don't know if it will work with earlier models. Hook up your computer to your Hydra, open your Nemesis 2.70 software, get connected, and click "Settings" then "Set-up Options"
Change the "CAN Protocol" field to "Basic ODBII ECU 1"
...and you're done. Good work! Time to test things out. I had reset my ScanGauge II to default settings and it seemed to have trouble connecting that way (could be I wasn’t patient enough). I set the ScanGauge ‘mode’ to ‘Auto’ and it connected just fine after that. Next time I checked the mode on the ScanGauge, it was set to CANSF. Closing the loop on this, I heard back from Jeremy yesterday. CAN hardware is on Hydra 2.7 boxes after approx. April 2012. CAN feature is included free on current boxes, still $150 for some of the rest of us to enable the built-in hardware, cutoff date unspecified. Do you think we can assume any of the most recent 2.7 Hydras are unlocked? I just purchased mine April of this year, and would really like to do this mod. I think rstange1 got his Hydra in 9/14, so any 2015 boxes should have CAN unlocked. I agree with rotorglow -- think you'll be fine. Definitive answer would come from Jeremy at FM. I need contact them and find out if they recommend any sway bars for the Fox suspension kit anyways. So I'll be calling them next week. The nice thing about the ScanGauge is you can cycle through all available gauges at the push of a button. So, when I'm at a track event, I might display Maximum Coolant Temperature and/or Maximum RPM (both of these are X-Gauges I've programmed into the ScanGauge). If I like the MAP gauge enough, I'm thinking of removing my boost gauge and getting my left air vent back. BTW, I was playing around with some of the CANSF X-Gauge parameters, trying to get the ScanGauge to display Air Fuel Ratio, but was unsuccessful. If anyone happens to get that working with the Hydra, I'd be real interested. Can you get FPR (Fuel Pressure) to display? The long term and short term fuel trims can also be useful in diagnosing a problem. 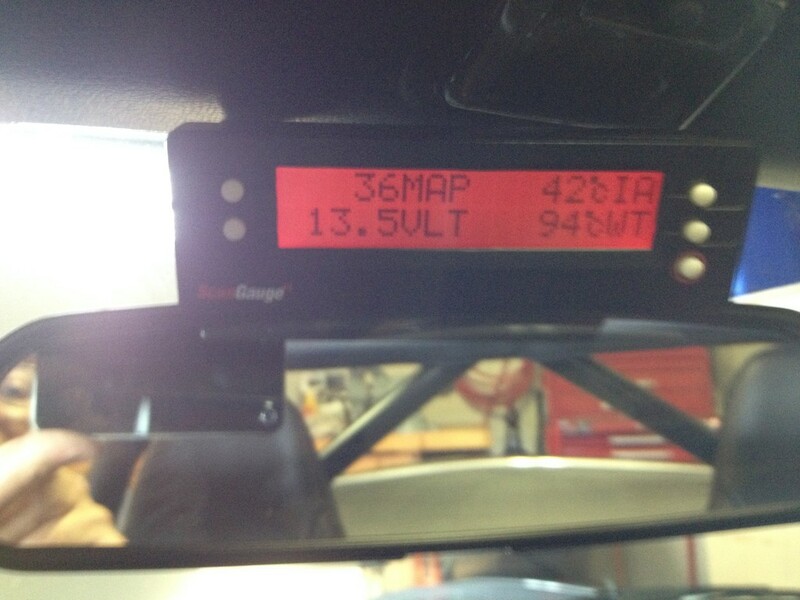 I got the O2 sensor read out on my SVT Focus but the AF never worked well. I recently picked up a 2003 with a FMII kit/ Hydra and will wire my ScanGauge in to avoid adding stand alone gauges. With the SG I'll only need Oil Pressure, Oil Temperature and most likely a Wide Band. We haven't got a fuel pressure sensor, do we? Not that I'm aware of. My ScanGauge reports fuel pressure as a constant zero value. 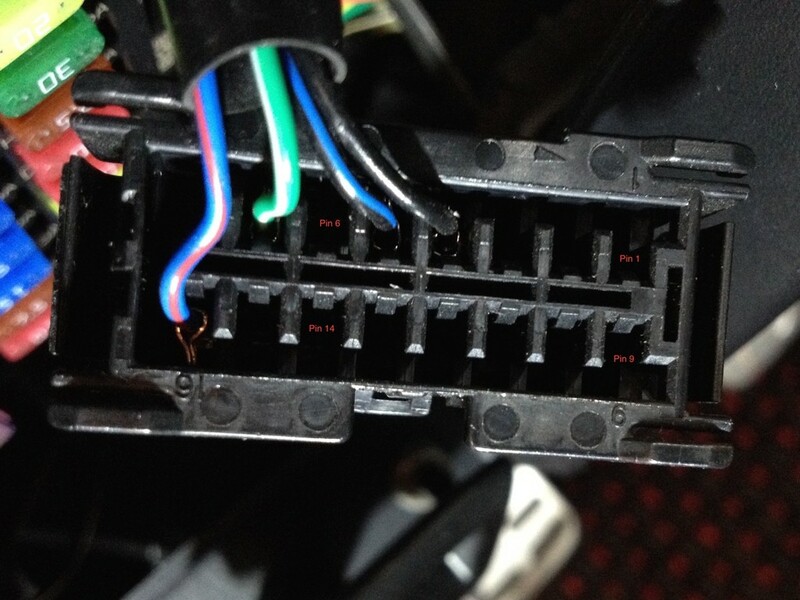 I finally got around to installing the wires to the OBDII port and Hydra. It took a few tries for the ScanGauge to connect but now it is good to go. This was on a 2003 Club Sport with a FMII turbo. Short Term Fuel and Long Term Fuel trims can be programmed in the X-Gauge.